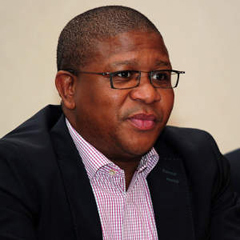 Johannesburg - The SA Sports Confederation and Olympic Committee (Sascoc) and Sport Minister Fikile Mbalula will ask government to "walk the talk" when it comes to financially assisting South African sport, it was reported on Saturday. Compared to the funding countries such as Britain received, South Africa's spending was hardly impressive, The Saturday Star reported. UK Sport, the official agency for sports funding, received around £100 million (about R1.2bn) a year from the treasury and the national lottery for sports. In South Africa a total of R33.8 million was invested for the Olympics and Paralympics, according to a Sascoc presentation in February. Another R1.4 million was spent on Olympic scholarships, according to the report. The sports ministry did not directly fund athletes through its R848.4 million a year budget. Federations such as Sascoc relied largely on Lotto money and sponsorship deals. However, since last year government upped spending on "scientific services" to train athletes for this year's Olympic Games. According to the Sport24 website, some athletes received Sascoc and other funding, but Olympic swimmer Roland Schoeman said he had received nothing for the past 18 months after coming sixth in the 50m freestyle. "I would have loved to have been faster. But not to have been funded at all for the past year-and-a-half by the SA government, not by Sascoc, not by anybody... To come and be placed sixth in the world after everybody had written me off, I'll take that," Schoeman was quoted as saying.